To defeat Kakine and SCHOOL, an increasingly unhinged Mugino is willing to sacrifice all of her ITEM subordinates, from Frenda to Takitsubo, who eats an Ability Crystal in order to hold off Kakine long enough for Hamazura to escape. She believes that despite having zero esper power, he has to survive. Hamazura tries to have it both ways, leaving the injured Takitsubo to a still mostly out-of-the-loop Yomikawa. That leaves Hamazura to face Mugino, who really wants to kill him. The thing is, she never quite drops all the theatrics and does something she says she could do without batting an eyelid. Hamazura exploits her posturing by stabbing her in the eye with the ability crystal box, riddling her with bullets, and knocking her out cold before she can kill him. It’s a stunning upset for the Level 0, who can stand proud knowing he protected his colleagues from their psycho boss. That leaves Accelerator, who gets a phone call warning him that Last Order is in danger, followed by Kakine assaulting Uiharu when she doesn’t tell him where the little one is. 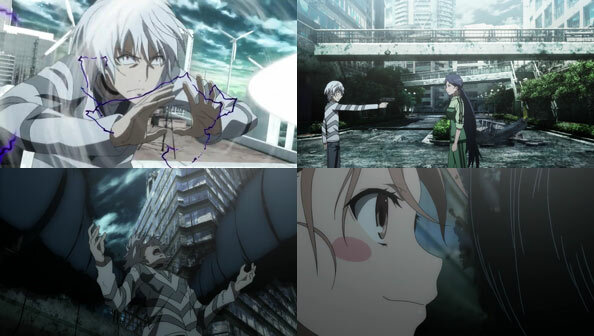 Uiharu is saved by Accelerator, and an epic duel between the two Level 5s ensues. Kakine claims his abilities “don’t actually exist” and thus are ruled by laws that also don’t exist, making it tricky at first for Accelerator to deflect his attacks. However, Accelerator’s sheer advantage in power wins the day…at least until Yomikawa shows up to stop him. She’s stabbed in the back by Kakine, and Accelerator goes berserk. That’s when Last Order arrives, the only person who can stop him. And she does, without any problems, dispersing his cyclones and calming him down with a hug. The MacGuffin Tweezers are recovered by GROUP, and revealed as a tool to read data from the “Underline”, a nanodevice dispersed throughout the air by Aleister that gives info on all of the various underground organizations in Academy City. Tsuchikimado notes the name of one group we haven’t yet heard (at least not in the anime): DRAGON. Oh, and Etzali managed to save Xochitl. Good for them! All’s mostly well that ends mostly well, though I have to say, it was wrapped up a bit too neatly. Such, I suppose, is the curse of an anime adaptation that apparently has a lot of ground to cover. I really enjoyed this episode. 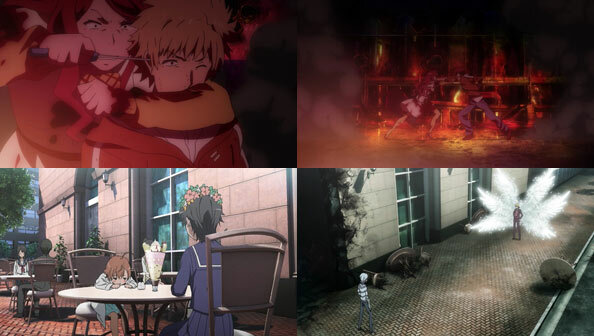 From the unhinged Mugino and the increasingly likeable Hamazura, through to the epic duel between Accelerator and Kakine, it was mostly non stop action. The highlight for me though was Last Order. This is the first time we have seen her display any real growth or overt power of her own and it was pretty awesome. Last Order is the nexus of the network of the 10,000+ Misaka sisters and given that the sisters’ network drives Accelerator’s esper computational powers, it is no surprise he cannot hurt her and that she can calm him so easily. Of course he is very attached to Last Order despite his posturing which must have been a factor too. 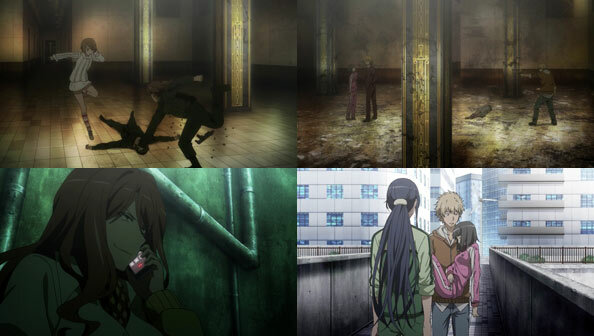 I’m interested to see if they show any reaction from Accelerator to this development. After all, are you really Academy City’s most powerful Level Five if you can be controlled so easily by a cute little short-shot clone?